A new inn is coming to the waterfront, but this inn is not for people, it's for ducks. 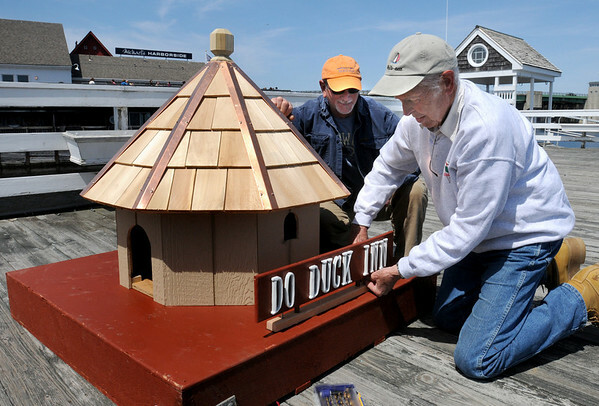 Charles "Pete" Morse built this duck house and is attaching the sign as Windward Yacht Yard manager Butch Frangipane watched. The house, which replaces one lost in a storm last year, will be put in the water between Michael's Harborside and the yacht yard to keep ducks off the docks.